LLLP involved in new project on validation in volunteering which has kicked off in Helsinki! 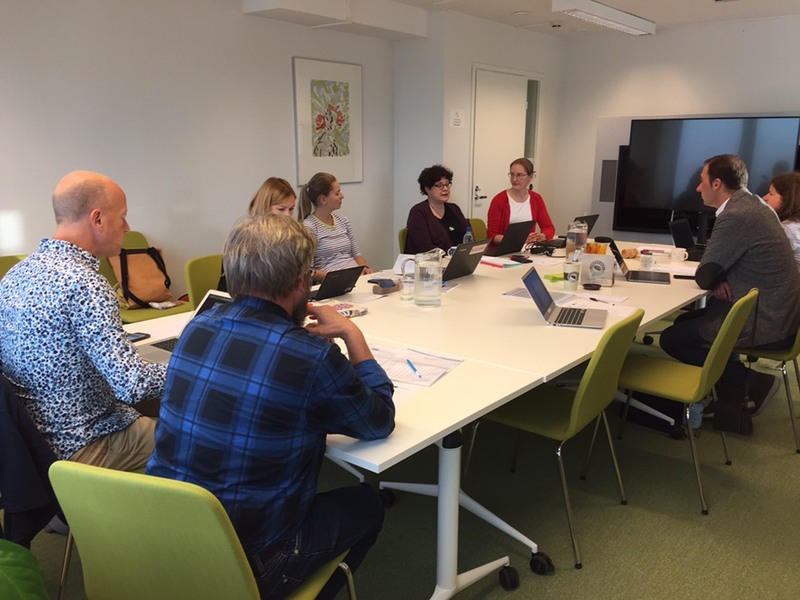 On 29-30 of October partners from 5 countries met in Helsinki to kick off the ImproVal project, which, over the next two years, will focus on improving validation in the voluntary sector. At the first partner meeting in Helsinki the partners shared their experiences from previous validation projects and presented their own projects to the partners. They discussed the first project outputs and worked together to define the changes they would like to see in the sector and also the impact they are expecting the project to have. ImproVal aims to provide a synthesis of work undertaken on the issue of validation and volunteering so far. It does so by bringing together the coordinators of a number of previous validation projects, making known the methods, tools and thinking behind validation of learning in the voluntary sector, in a validation compendium, conducting a small-scale study on the usefulness of validation for volunteers, and by encouraging a dialogue between relevant stakeholders locally, nationally and on a European level. The project is coordinated by the Sivis Study Centre, a nationwide non-formal adult education centre, whose mission is to foster citizens’ competences and promote active citizenship and voluntary work in co-operation with its members. The other partners are the University of Bamberg (Germany), Edos Foundation (Netherlands), Platform of Volunteer Centres and Organisations (Slovenia) and the Lifelong Learning Platform (EU).